EXCLUSIVE AT NET-A-PORTER.COM. Ratio et Motus' Angela Wang and Daniel Li take classic silhouettes and recreate them for the modern woman. 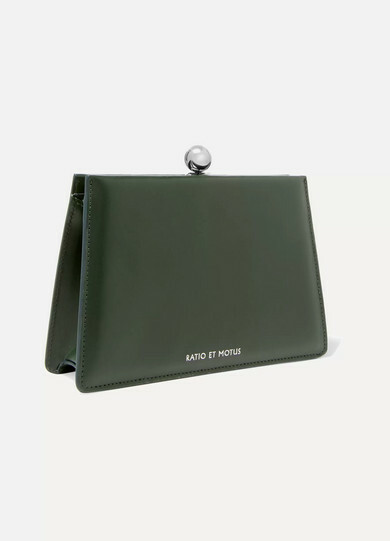 Crafted in Italy from smooth forest-green leather, this 'Mini Twin' bag is reminiscent of '50s box bags. 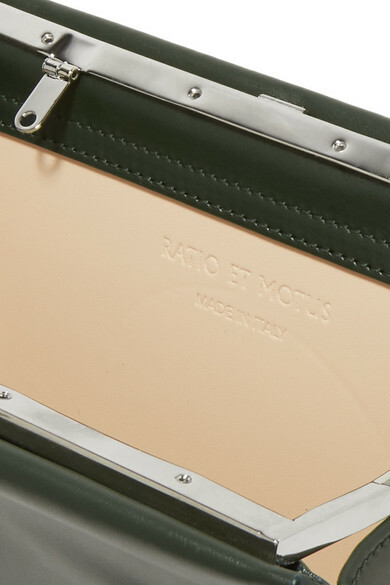 It's minimally detailed with the brand's logo embossed on one side and opens to a compact interior with enough space for a phone, keys and lipstick. 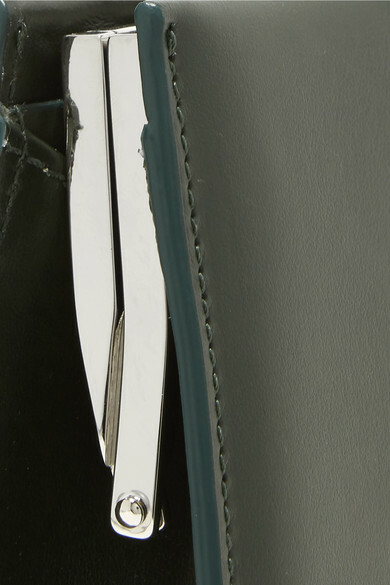 Attach the thick strap to carry it on your shoulder. Shown here with: A.W.A.K.E. Dress, BY FAR Mules.